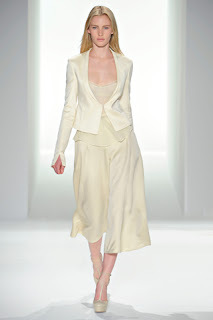 New Zealand model Emily Baker has consolidated on her stunning Fall/Winter 2011 debut with a 58 show tally at the Spring/Summer 2012 collections. 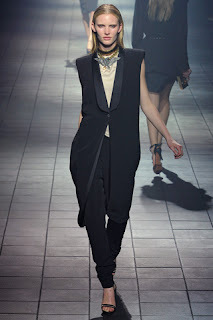 The 178 cm tall, 17 year old Matamata-native graced the runways of Alexander Wang, Michael Kors, Calvin Klein, Prabal Gurung, Oscar de la Renta, DSquared, Chloe, Givenchy, Chanel and Lanvin. Baker's impossibly razor-sharp cheek bones, piercing blue eyes and chameleon-like beauty have landed her on the list of every influential casting director. Following her Fall/Winter 2011 debut, Baker nabbed campaigns for Gucci, Dsquared and Tommy Hilfiger, making her one of the most bankable newcomers of the season. Baker's dream run is likely to continue, having been photographed in recent months by Steven Meisel for Vogue Italia, Mert Alas & Marcus Piggott for Interview, and Daniele Duella & Iango for V Magazine. MDC's Wayne Sterling puts it most succinctly "For me the girl posed to nab everything is Emily Baker. In the modelling sweepstakes she is the sensation."